HOT NEWS .... we provide bulk granola for the food service industry, as well as our beautifully packaged granola products. This is perfect for cafes and restaurants looking for a healthy, delicious high quality product to add to their menus. These days more and more of your customers want to start the day right with a wholesome nutritional breakfast. 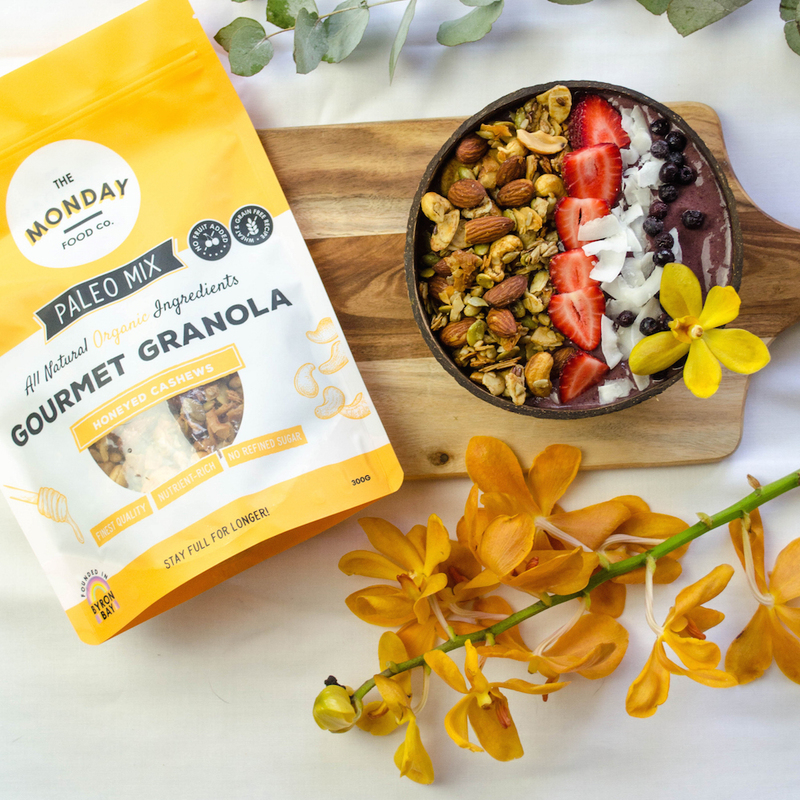 Spoil your customers with our organic paleo granola to kick start their day! We can offer you endless bulk bags of our granola to deliver an exceptional product to your customers, made straight from in your kitchen. A yummy way to start their day! Whether it's breakfast, brunch or breakfast on the run, our granola is great for creating delicious dishes for the health conscious. We have Vegan, Vegetarian and Gluten Free Granolas available. Eight yummy flavours to choose from to create your own breakfast inspiration. Wholesale orders for cafes and restaurants are available in minimum 10kg quantities. Hundreds of customers are starting their day right in cafes across NSW and QLD now!